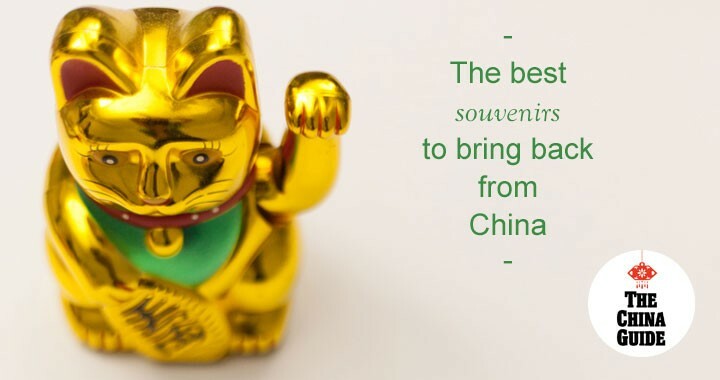 So you’re coming to the end of your China trip and you’re wondering what souvenirs to buy that will impress and delight the folks back home. Check our list of recommended souvenirs and you’re guaranteed to be the most popular person around! Chinese-made wine has been improving in quality and reputation in recent years, with wines from areas such as Ningxia province winning awards on the international stage. A bottle of wine from a top Chinese winery such as Grace Vineyards, Helan Mountain or Kanaan makes an interesting gift for the oenophile in your life. The strong of stomach may want to take home some baijiu, a strong local spirit distilled from sorghum that is somewhat akin to vodka, although with a much more distinctive flavor. Lower grade baijiu can be purchased from virtually any supermarket or convenience store for less than 5-10 CNY, while higher grades from famous brands such as Moutai and Wuliangye can cost upwards of 1,000 dollars… US dollars, that is. Tea has a long and illustrious history in China, having originated there more than 4,000 years ago. Legend has it that tea was discovered by Emperor Shen Nong in 2737 BC when leaves fell into the water he was boiling. There are seven different types of Chinese tea: green, white, oolong, yellow, black, post-fermented, and flower. You can pick up tea at any market or supermarket but for the best experience head to a specialist tea shop or market. Here you’ll be able to taste the tea before you buy it and compare different varieties. Shop assistants at tea shops in more touristy areas will likely speak some English, too. A popular, and easy to find, place to buy tea is China-wide chain, Wu Yu Tai. In Beijing, you can visit the huge Maliandao Tea Market, while in Shanghai the biggest tea market is the multi-story Tianshan Tea Market. Paper cutting, called jianzhi in Chinese, is a craft dating back over 1,500 years. It began in the sixth century A.D. after China invented paper sometime between 140 B.C.E and 105 A.D. Paper cuttings were originally designed to serve as decorations. Chinese homes used to have paper windows which were decorated with bright-red paper-cuttings. The shapes created by the papers were also visible from the outside when lamps were lit at night inside the home. While modern Chinese apartments now have glass windows, some people still enjoy decorating them with paper-cuttings (always red). Paper cuttings can be bought at nearly any tourist or souvenir market and their light weight makes them easy to fit in your suitcase. Of all precious stones, jade is considered the most valuable, and is linked to the notions of nobility, perfection, and even immortality. Jade is fashioned into all sorts of tokens, jewelery, and statues that are thought to bring luck and good health. Jade is one of the potentially trickier souvenirs to buy; fake jade products abound and genuine, good quality jade is expensive. Ask your guide to recommend a trustworthy place to buy jade and always buy from a certified dealer. Once you have found a good place to buy jade, a nice gift to consider is a small statue or pendant in the shape of the recipient’s zodiac animal (see here for more information about the Chinese zodiac). Colorful posters and other Mao-era paraphernalia make great presents for both the artistically and historically inclined. If you are in Beijing, the best place to purchase propaganda posters is Panjiayuan Antiques Market. Despite being an antiques market, most of the posters are reproductions but you may find some genuine gems in and amongst the rubbish! In Shanghai, the shop attached to the excellent Propaganda Poster Art Center sells copies of the posters that they have on display.